A tasty Thai recipe which uses spiralised potato in exchange for traditional noodles. 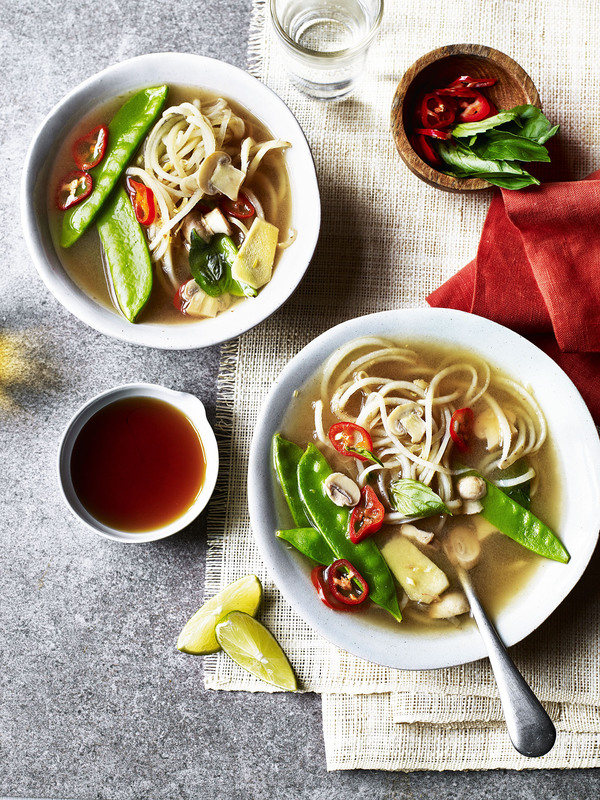 The broth is built on the vibrant flavours of ginger, pepper, lemongrass and mange tout which when together is an inspiring delight for the palate. Get involved right here! Serve with the fresh coriander and basil and some extra lime wedges, chilli and fish sauce on the side.